“An early promo poster for Marvel’s Black Panther shows T’Challa seated on a throne with a tall, rounded back. He firmly grips the armrests, plants both his feet on the ground, and expresses his power with an authoritative direct-to-camera gaze. Centuries ago, as five African tribes war over a meteorite made up of the alien metal vibranium, a warrior ingests a “heart-shaped herb” affected by the metal and gains superhuman abilities. Becoming the first “Black Panther”, he unites four of the five tribes and forms the nation of Wakanda. As time passes, the Wakandans use the vibranium to develop highly-advanced technology while simultaneously isolating themselves from the rest of the world and posing as a third world country. While working undercover in Oakland, California in the late 20th century, Prince N’Jobu becomes convinced that Wakanda’s isolationist policies have done more harm than good and vows to share its technology with people of African descent around the world in order to help them conquer their oppressors. N’Jobu enlists black-market arms dealer Ulysses Klaue to infiltrate Wakanda and remove a cache of vibranium. In 1992, King T’Chaka learns of his brother’s actions. He confronts N’Jobu, who becomes angry and threatens to kill T’Chaka’s loyal friend, Zuri. T’Chaka reluctantly kills N’Jobu to save Zuri, and abandons N’Jobu’s son Erik in order to prevent the Wakandan people from learning the truth. In the present day, following T’Chaka’s death at the hands of Helmut Zemo, disguised as a masked James Barnes, his son T’Challa returns to Wakanda to assume the throne. 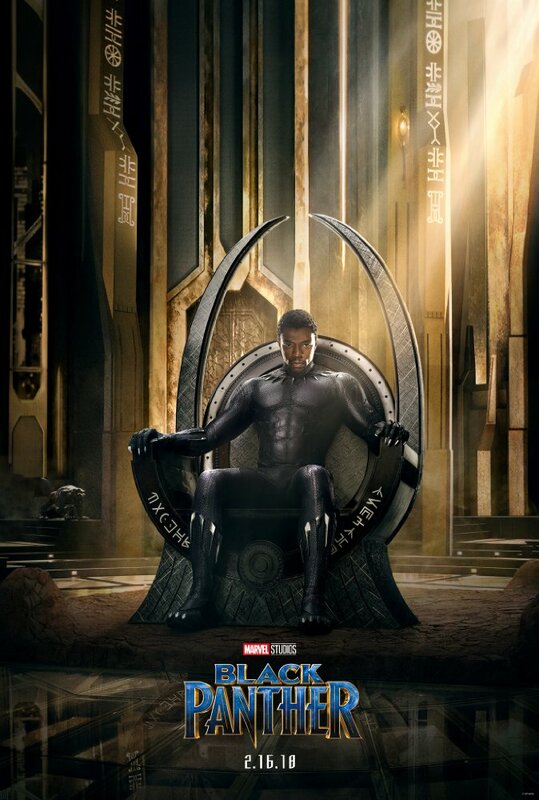 After working with Okoye, the leader of the all-female fighting force the Dora Milaje, to extract his ex-lover Nakia from an undercover assignment in Nigeria’s Sambisa Forest, he reunites with his mother Queen Ramonda and younger sister Princess Shuri, the nation’s current technological genius. At his kingship ceremony he is challenged for the crown by M’Baku, the leader of the fifth tribe, the mountain-dwelling Jabari. The two engage in ritual combat, with T’Challa emerging victorious and becoming the new King. He let’s M’Baku live. In London, a gang led by Klaue and including an ex-U.S. black ops soldier, Erik Stevens a.k.a. “Killmonger,” steals an ancient Wakandan vibranium axe from a museum. When the tribal elders receive word that Klaue has resurfaced in South Korea, T’Challa’s friend W’Kabi, who lost his parents as a result of the dealer’s actions, urges the young monarch to bring him to justice. T’Challa, Okoye, and Nakia plan to intercept Klaue at an underground casino in Busan, where he will be selling the axe to an unknown buyer. The plan, however, goes wrong when T’Challa discovers the buyer is CIA agent Everett Ross and Klaue suspects the deal is a setup. The deal subsequently goes sour, and a car chase ensues that culminates in Klaue’s apprehension. While in CIA custody, however, Klaue is rescued by Killminger. Ross is seriously injured saving Nakia in the attack, and rather than pursue Klaue, T’Challa takes Ross to Wakanda where his sister Shuri uses the nation’s advanced technology to save Ross’ life. Killmonger kills Klaue and takes his body to Wakanda as a token, revealing his identity as N’Jobu’s son to the tribal elders and challenging T’Challa for the throne. Killmonger triumphs in ritual combat and hurls the defeated T’Challa over a waterfall. After ingesting the heart-shaped herb to gain the powers of the Black Panther, Killmonger enacts his father’s plan, preparing shipments of Wakandan weapons to be distributed to Wakandan operatives around the world. Nakia, Shuri, Ross, and T’Challa’s mother Ramonda flee to seek the aid of the Jabari and learn M’Baku’s men have found and are caring for the comatose T’Challa. Healed by a heart-shaped herb brought by Nakia, T’Challa returns to Wakanda and to renew his combat with Killmonger for the throne, which was never officially concluded since T’Challa never died or conceded. When Killmonger refuses to cooperate, his claim to the throne is immediately invalidated and Okoye and the Dora Milaje turn against him. However, Killmonger who is now wearing a suit of Black Panther armor of his own resists with force along with the Border Tribe. While Shuri, Nakia, and Jabari battle W’Kabi, Ross, piloting a remote jet with Shuri’s guidance, shoots down the planes carrying the weapons before they can leave the country. The battle goes poorly for T’Challa’s side until M’Baku and the Jabari arrive to support him, thus turning the tide. T’Challa and Killmonger’s battle carries them into the heart of the vibranium mine, where sonic disruptors used in the transport of the metal incapacitate their vibranium armor. While Killmonger’s body is briefly exposed, T’Challa stabs his cousin. He takes Killmonger to see the sunset of Wakanda and offers to heal him. But Killmonger states that he knows he will then be imprisoned and would rather die a free man. He pulls the dagger out of his chest and dies. With that victory, T’Challa is officially restored to the throne, with M’Baku granted a seat in the national tribal council to represent his tribe in recognition of his loyalty. Rejecting the isolationism of past Wakandan kings, T’Challa establishes an embassy in the United States to be run by Nakia and Shuri. In a mid-credits scene, T’Challa appears before the United Nations to reveal Wakanda’s true nature to the world. In a post-credits scene, Shuri continues to help Bucky Barnes with his recuperation.